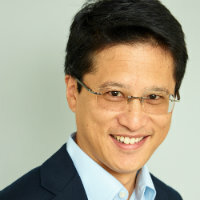 Steve Shu specializes in behavioral finance, and his current research interests include savings, retirement, and individual behavioral differences in digital and FinTech environments. Outside of City, University of London, Steve Shu specializes in incubating new initiatives and business lines with a primary focus on services, technology, and behavioral science. He serves as a Managing Principal at Digitai, a behavioral economics consultancy and innovation firm. Steve has consulted to or had management roles at organizations such as The Voya Behavioral Finance Institute for Innovation, Allianz Global Investors Center for Behavioral Finance, Allscripts, Nortel Business Consulting, PRTM Management Consultants (acquired by PwC), and numerous startups. Steve has also been an Assistant Professor in the business school at Irvine University and an Account Director for the Taproot Foundation. Smith, D. City, University London. Thomas, S. City, University London. Shu, S. (2016). Inside Nudging Implementing Behavioral Science Initiatives. Createspace Independent Publishing Platform. ISBN 978-1-5327-8080-6. Shu, S. (2015). The Consulting Apprenticeship 40 Jump-Start Ideas for You and Your Business. CreateSpace. ISBN 978-1-5142-1716-0. Shu, S.D., Bliven, S.E. and Belina, J.C. Training Of Feedforward Neural Network Architectures For Feature Recognition Of Abnormal ECG Waveforms. Annual International Conference of the IEEE Engineering in Medicine and Biology Society Volume 13: 1991. Seaman, K., Green, M., Shu, S. and Samanez-Larkin, G. (2019). Individual Differences in Loss Aversion and Preferences for Skewed Risks Across Adulthood. Psychology and Aging, 33(4), pp. 654–654. Shu, S.B. and Shu, S.D. (2018). The Psychology of Decumulation Decisions During Retirement. Policy Insights from the Behavioral and Brain Sciences, 5(2), pp. 216–223. doi:10.1177/2372732218790034 . Hershfield, H., Shu, S. and Benartzi, S. Temporal Reframing and Participation in a Savings Program: A Field Experiment. Marketing Science. Shu, S. Pennies Reframing and Savings (Working Paper).